Avantone Pro presents a "Vari-Voice" designed to adapt to all situations, either in the studio, live, for DJing or for audiophiles. AKG presents the K872 headphone, a new model which claims to bring unprecedented accuracy for studio production and live sound engineering. Pioneer DJ is expanding its range of studio monitor headphones with the launch of the HRM-5s and HRM-6s. 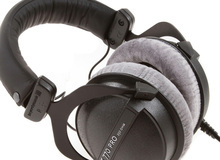 Audio-Technica introduces the ATH-M50xMG, a matte gray version of the brand's popular ATH-M50x headphone model. Joey Sturgis Tones organizes a special Christmas giveaway.